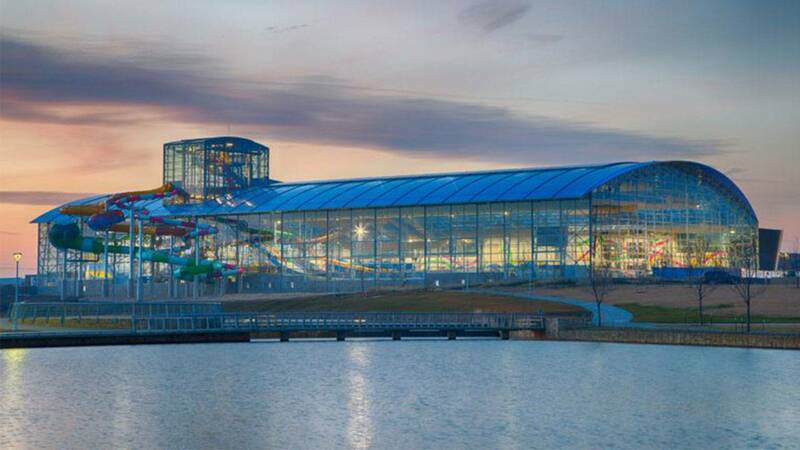 GRAND PRAIRIE, Texas - Epic Waters is an 80,000-square-foot indoor/outdoor water park that is open year-round. The building has a retractable roof and has been referred to as a “cruise ship on land." Eleven water slides are featured on the water park’s slide tower, and three of these slides are "first of their kind" within the water-park industry, according to the Epic Waters website. Epic Waters is located at 2970 Epic Place in Grand Prairie, Texas. Parking and tube rentals are free and there will be discounts for corporate events.